He is a bit of a show off! Here is our neighbor’s pet! She loves to feed this boy! Looks like the lights at the Lodge are on. We stop cutting the grass in September. Our wild friends appreciate that! Hey! Who is this little fella?? See how this turkey is able to walk on top of the snow? These Wild Turkeys are enjoying some long grass that is buried under the snow. 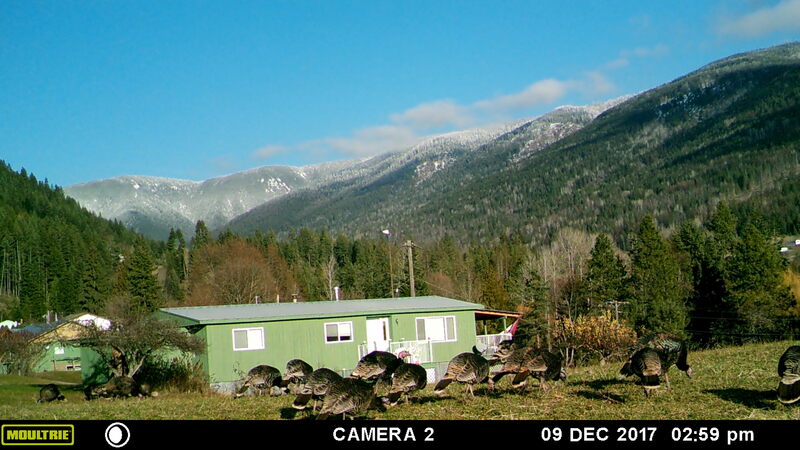 Deer and Elk will dig up patches of grass from under the snow, Turkeys love that! Can you see 3 Elk? How many Elk do you see? Elk checking out the trail cam! 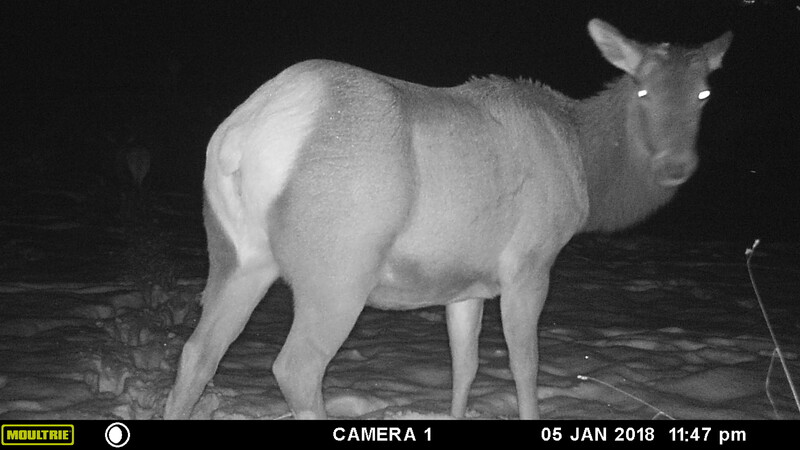 This Elk spotted the trail cam! !